Through our extensive network of qualified partners, SkyNet broadband Solutions provides structured cabling for large, medium and small businesses with single and multiple sites across Canada. 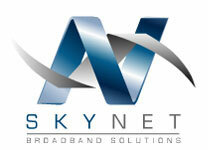 Customers can count on SkyNet as their one stop shop for cabinets, cabling products and all associated services. SkyNet provides customers with a single point of contact for their cabling projects, including design for station cabling, infrastructure, cabinet/racking systems and installation for voice, data, and fiber. SkyNet technical experts are factory certified and provide customers with a customized evaluation of their installation site to help ensure key deliverables are met. SkyNet works closely with telephony partners to ensure a trouble free and accurate cable design.